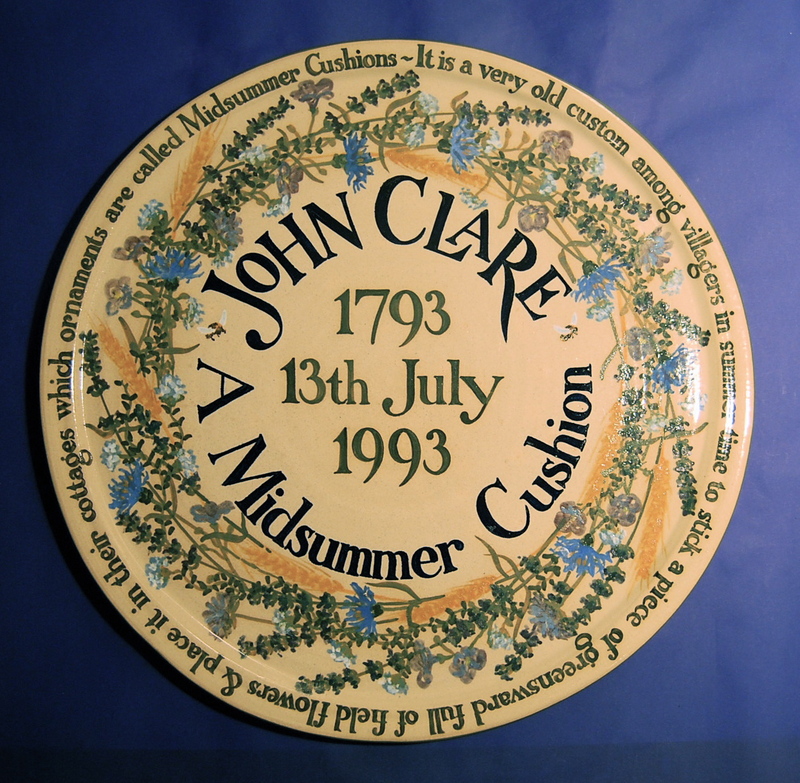 July is the month of John Clare; one of our customs at Potters’ Yard is to celebrate his birthday (as we do Shakespeare’s) and we always have a picnic from this great plate that I made for his bicentenary in 1993. 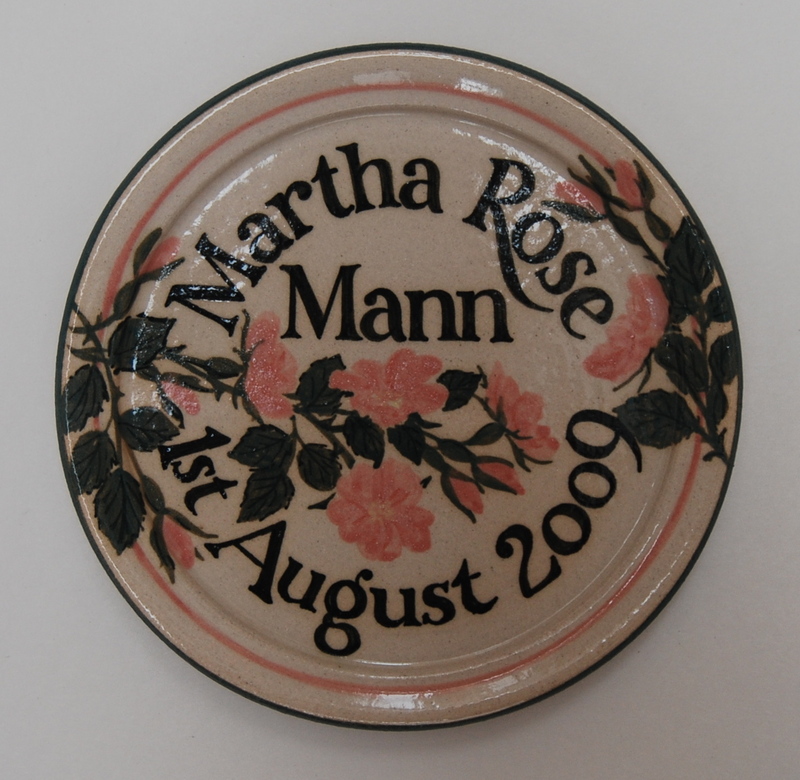 – or the smaller 8″ (20cm – from £70) for sideplates or baby plates, commissioned for births, christenings and namedays. 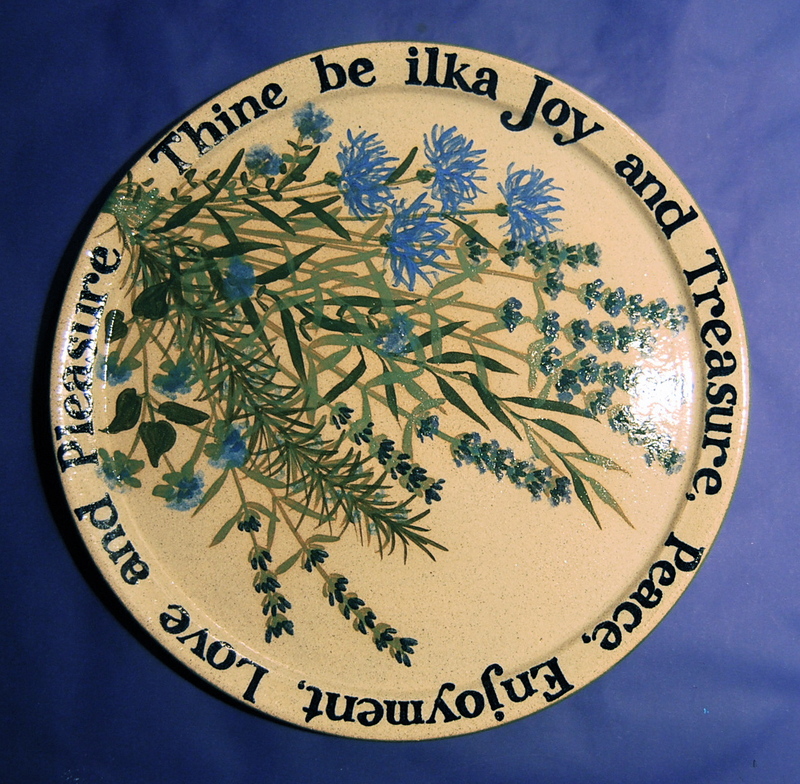 Another intrinsic strength is in the high firing temperature of the stoneware clay I use; the clay vitrifies in the firing – becomes stone-like in its physical construction, the gaps between the molecules close up, so that the fired clay is no longer porous and absorbent, but hard and compressed. This of course adds to its durability and strength, especially when combined with a hard covering glaze. The only enemy then is a tiled floor and a dog to trip over. Long ago I made a nameplate for a friend’s restaurant, which he fixed proudly to the wall. After a few years it fell down, hitting a table on the way down to the carpeted floor – it was completely undamaged, but it made a good dent in the table top. It’s now on a shelf on a platestand. 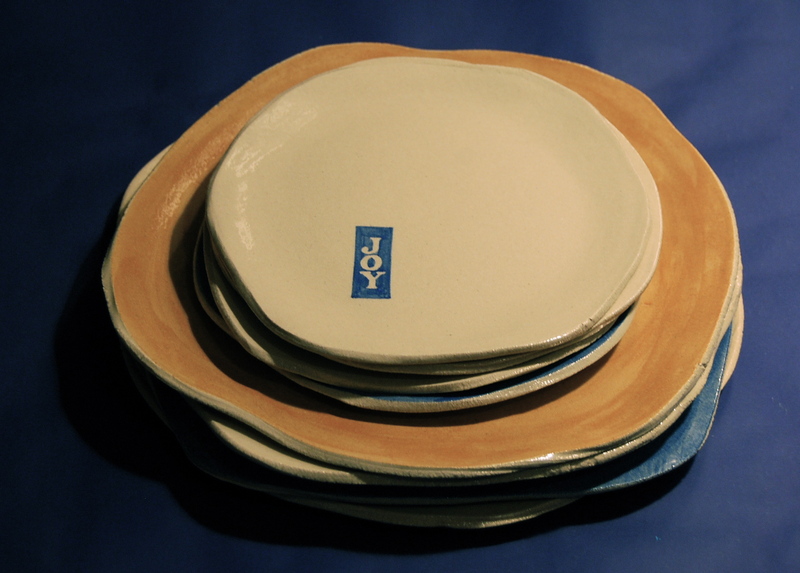 We still use some of the first plates I made (in ?1989) everyday; the John Clare dinner service I made in 1993, with a plate or bowl for each month, we keep for special occasions – and we use the Midsummer Cushion plate only once a year on 13th July. 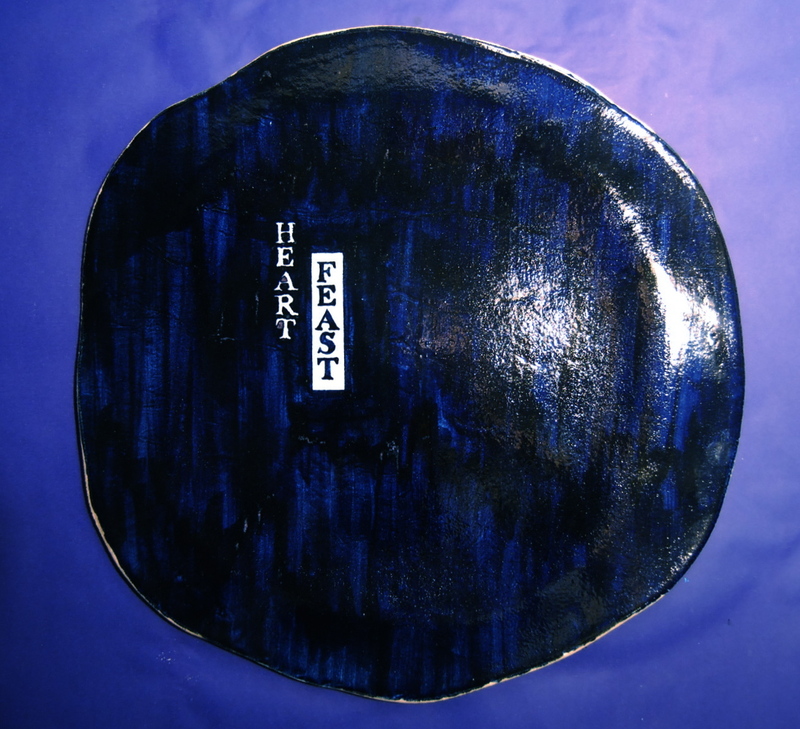 I sometimes make plates not on the wheel, with a slab of clay hand-rolled (with a rolling pin) and formed, dried and fired on a support made from the same clay, which is removed after firing, leaving the plate’s wavey rim self-supporting. These rather sculptural objects each have their own special shape, retaining the ‘selvedge’ made by the rolling process, and the irregular line – but they’re quite strong enough for use (though I wouldn’t put them in a washing-up machine) and they look very groovy on the table. I particularly like the clear strong colours for serving food, and the unusual, irregular shape showing the plate’s origin in the soft, malleable clay and the process that formed it. 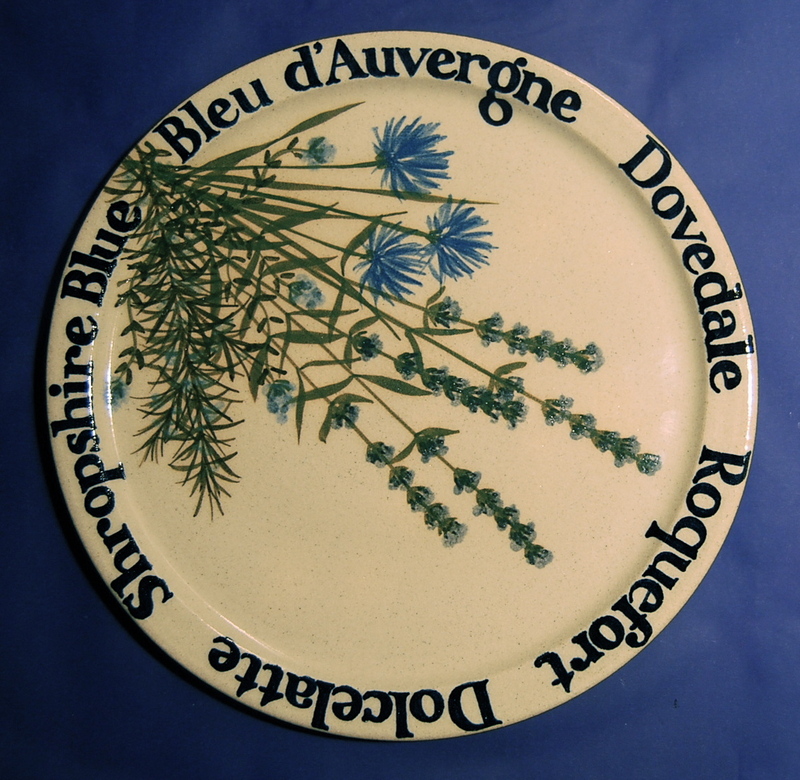 There are more examples of different plates on the inner space and Meadow pages (see links above left). If you’d like to know more, please leave me a comment below, or click on contact details. This entry was posted on	July 8, 2010 at 4:32 pm	and is filed under Work in focus.